Carlo Zoccali has joined Farnborough International from Arsenal Football Club, as one of two new members of the venue team. He has been appointed as venue account director, while Lucy Gibbons, former senior account manager at Birmingham’s International Convention Centre, has joined as venue account manager. The pair bring more than 20 years of sales experience to the expanding venue sales team and will both will both report to Farnborough International’s venue director Michael Watton. 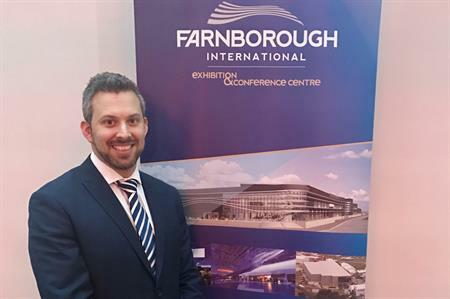 Farnborough International will launch a new, permanent conference centre in 2018 on the site of the temporary Hall 1 building used during the biennial Farnborough International Airshow. Comprising 20,000 sqm of event space, the new structure will be flexible enough to cater for almost any kind of exhibition, conference, meeting, dinner or launch event. It measures up to 12,500sqm of exhibition space, 2,500 conference seats and 14 multiple purpose-built function rooms. Speaking about his new role Zoccali, said: "I’m excited to be joining the team at Farnborough International. The new venue is going to be such a fantastic asset to the UK events scene and it will be fascinating to be involved from the beginning." Venue director, Watton, added: "Lucy and Carlo have joined Farnborough International at a time when our venues team is going from strength to strength. We are keen to build an experienced team who can hit the ground running and generate excitement about our new venue at the home of pioneers in Farnborough."